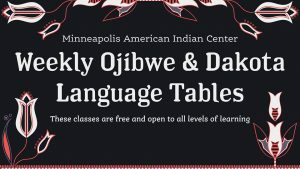 The Minneapolis American Indian Center offers lunchtime meals for adults ages 60 and up. This program is provided by Senior Dining Choices, a service of Optage, the home and community division of Presbyterian Homes and Services. It is designed to meet the nutritional needs of older adults in the local community, and it is open to individuals from all racial and ethnic backgrounds. For more information, please contact the Seniors Health and Wellness Coordinator Colette Lawrence at (612) 879-1703.